The Chinese Student Association, or CSA, is one of the many clubs chartered at Bellevue College. On Friday, Feb. 1, from 6:00 – 9:30 p.m. the CSA is going to host its Lunar New Year Celebration in the Student Union Cafeteria. Tickets are on sale for $7 each at the PALS Center in C106. The Lunar New Year, or Spring Festival, is a holiday that celebrates the beginning of a new year on the traditional Chinese calendar. The origin of Lunar New Year is known to show honor and love to deities and ancestors. The Lunar New Year is one of the world’s most prominent and celebrated festivals, and is the reason for the largest annual mass human migration in the world. It’s celebrated throughout mainland China, Hong Kong, Taiwan, Macau, Singapore, Thailand, the Philippines, Indonesia and more. 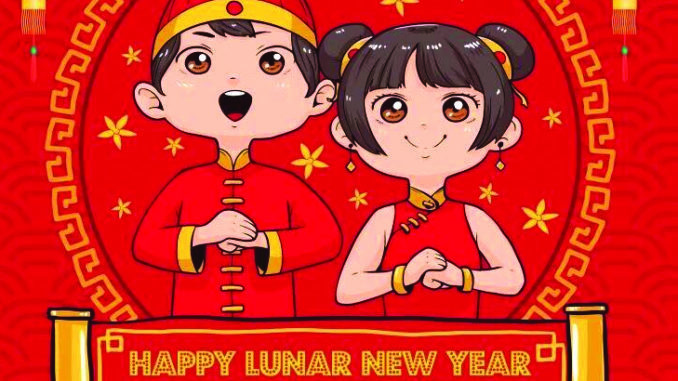 CSA President Bash Luo commented, “As there are many international students from China and other regions that celebrate Lunar New Year, we want to provide a platform to let them get together and enjoy the Lunar New Year just like how they used to in their country. I hope this can help our international students feel like home even though they may be away from their family,” says Luo. 2019 is the Year of the Pig. The pig is the last of the 12-year cycle of animals that appear in the Chinese zodiac related to the Chinese calendar. According to myth, the pig was the last to arrive when the Jade Emperor called for the great meeting. Other sources say it was Buddha who called for the great meeting when he was about to leave the Earth. The pig came in last. Maggie Lu, who went to the last Lunar New Year celebration in 2018, said, “I participated in activities on the stage and enjoyed American Chinese food last year. It was a great event to meet new friends, and it was an interesting night.” The tickets include a Chinese buffet this year, and Lu hopes the food will be better. Luo hopes this event can offer an opportunity for people to learn more about Chinese culture and get together with friends. “We will play interactive games for participants, and they have a chance to win some prizes as well,” said Luo. Participants can expect Chinese buffet, great shows, music, dance, magic shows and kids’ paper art at the event. Tickets are on sale for $7 at the PALS Center, and children under 5 are free. Contact Leon Xu at chengzhi.xu@bellevuecollege.edu for additional information.